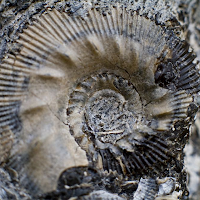 In Part 1: Starstuff and Seashells we started with a complete geek-out on the creation of the Earth, how it got its water, how life changed the planet with organic matter, and how wine connects us to all of it. Then we moved on to volcanic soil and limestone, because they really can't be placed into one soil type when categorized into soil texture. The nutrients in the soil has an effect on the growth of the plant and thus its fruit. Like I explained in Part One under Tuffeau, iron-rich soil seems to create structured and tannic wine. But can the actual aromas and flavors of the soil be transplanted from the roots to the juice too? 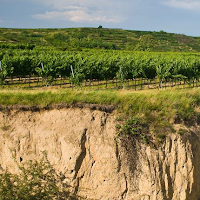 Studies have shown that in WARMER CLIMATES the chemical composition of the soil has no effect on the final wine except for its physical texture and pH level (also explained in Part One under the limestone portion). So it doesn't matter what KIND of sand you grow your Cabernet on, just that it's sand (Cab <3 sand) and that the acidity levels are where you want them to be. When you get to the COOLER CLIMATES, such as Chablis, this is where composition actually seems to matter... or so the Old World says. You can smell and taste the limestone, the slate or the granite. However, it's hard to prove. We all know cool climate wines express more "minerality" (dry rock, wet stone, chalk, rust, etc.) and "earthiness" (dirt, mud, wood, moss, etc.) than warm climate, but how can you scientifically prove that it's because of the soil when there's no mineral or chemical evidence of it in the wine? Earthiness and minerality could just be a characteristic of grapes from a cool climate or when they lack fruitiness. Instincts and wanting something to be true cannot make anything fact, only evidence can. Someday we'll know for sure. That's not to say that the entire concept of terroir doesn't exist. It clearly does. All of the surroundings including climate, weather, altitude, slopes, the angle of the sun, total daylight, water sources, microorganisms and soil type, when combined with local traditions in viticulture and winemaking, can contribute in making the wine from that particular spot different than any other place on Earth. 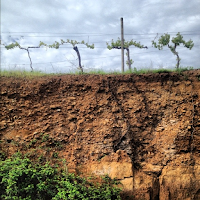 This second part of my Soil and Wine series will cover clay, silt and sand. Part Three: Roots Among Rubble will cover the rocks and stones you'll find among them. Clay is reeeeally finely grained, mineral-rich natural rock with organic matter and metal oxides. Because it's so finely grained and it swells when it's wet, it has quite the water retention. When you get that water out it dries into, well, what we all know as "dried clay". It becomes hard. A chemical change occurs when you cook it and it becomes ceramic. We owe our earliest building structures to this ability. Pottery too. And we owe the most memorable scene from Ghost to pottery. Because it holds on to moisture, clay stays cooler longer into the growing season than larger grained soil. So it takes longer for the grape clusters above it to ripen. However, clay tends to be very fertile because it stores both water and nutrients extremely well. We've already established that we're not looking for that here. Fertile soil is not what we want for grapevines. But that's a judgement based on a much broader view of soil and how vines should react to clay. There are exceptions when different variables are taken into consideration, such as location, varietal and what other soil the clay is paired up with. 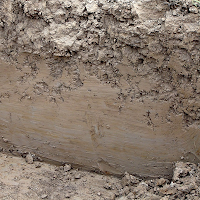 Barossa Valley in Australia has loam with its clay. MARL is a combination of clay and limestone and it helps produce some of the greatest wines of all time. For example, Merlot loves the marl on the Right Bank of Bordeaux. Tempranillo loves it too, especially in Rioja and Ribera del Duero. Chianti's ALBERESE soil is a marl whose limestone is from fossilized diatoms like Spain's Albariza but it's darker, less chalky and more compact and rocky. You can totally taste clay in Chianti's Sangiovese, but it does seem to be a characteristic of the varietal overall. 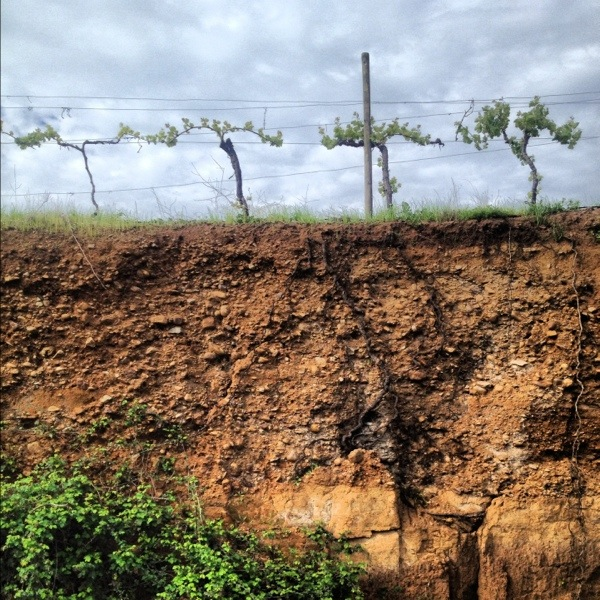 On that broader view of clay and viticulture, it's more appreciated as a subsoil than anything. 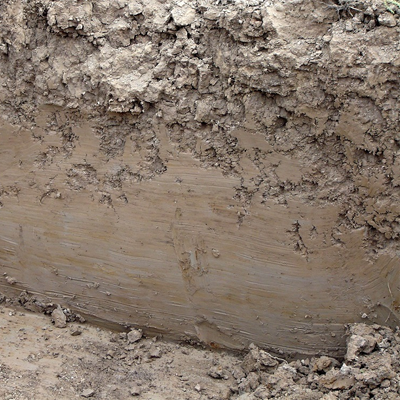 A subsoil is underneath the top soil and the area of the plant's roots. If the grapevines really want that water they've got to dig deep to provide for their clusters, exactly what we want from them. The deeper the roots the healthier the vine, and the less likely to be hurt by weather extremes. Clay at that depth doesn't really have much nutrients left though because it's already been sucked out and spread back into the top soil. KIMMERIDGE CLAY is probably the most famous layer of clay / marl on the planet and it's only found in Europe. You can take a trip to Kimmeridge in England and see the cliffs where it was first identified. Kimmeridge Clay is a subsoil layer of grey clay composed of limestone, extending from the White Cliffs of Dover in England down to the French Sancerre region of Loire. It's made of all sorts of fossils and minerals from the Jurassic age, back when Stegosaurus was around, and there's even a stage in the Upper/Late Jurassic called Kimmeridgian. Right above the Kimmeridge is a layer of the hard limestone PORTLANDIAN, formed from the late Jurassic. Having these rocks that crack under frost actually helps with aeration and drainage. In some places the Kimmeridge was forced up to the surface as the Paris Basin sunk, so it's the main soil type in eastern Loire Valley (Sancerre, Pouilly Fumé), northern Burgundy (Chablis) and southern Champagne (Aube). Kimmeridge is accredited with that "something special" that these wines have unique to themselves and can't be replicated elsewhere. While I'm on the topic of limestone clay we should probably discuss TERRA ROSSA, meaning "Red Earth". This is a clay that is an ex-limestone, because limestone without calcium isn't limestone. In places that have the combination of a Mediterranean climate and heavy rainfall, limestone soils can have its calcium dissolved. What's left is an iron-rich clay void of calcium, and the iron oxidizes to turn the clay into a rusty reddish color. Remember when I said iron-rich soil makes a structured and tannic wine? Twice? Australia's Coonawarra makes some killer Cabernet Sauvignon on its terra rossa soil. Spain's La Mancha has terra rossa too. They're more known for growing oceans of Airén to make brandy, but now we're seeing some really impressive reds coming out of there. Terra rossa is red for the same reason that Mars is red. Mars doesn't have limestone but it does have a hell of a lot iron... and it's rusting. Silt's grain size is between clay and sand, originating from quartz and feldspar (both will be covered in Part Three) through general weathering, frost shattering and the growth of salt crystals. It's light enough that it can get kicked up in water and become suspended sediment, but also heavy enough to rest on the bottom. It's soft and floury when dry, and like Bon Jovi it's Slippery When Wet. It produces smooth wine and lowers acidity. LOESS is a yellowish-grey, calcareous silt that is made possible by the wind. Dry particles that fly through the air riding the wind such as dust and super fine particles of mica, quartz and fossils collect in particular spots through the years like the areas in your yard that collect snowbanks. It could be because of the terrain, a sudden change of moisture as it enters a new microclimate, or something else that makes it settle there. Plants start to grow on top and roots hold it together. Suddenly it's a soil with impressive drainage, lots of nutrients, great fertility, and slow erosion. 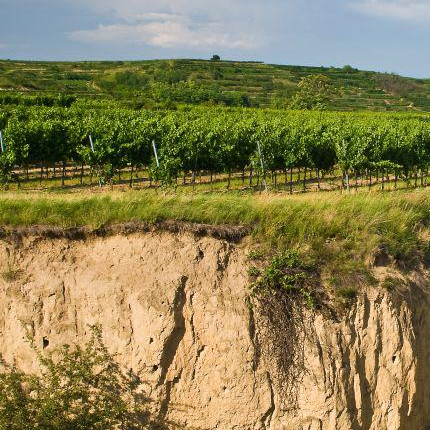 Austria, Germany and Washington State are the places of note that have vineyards on loess soil. It keeps tannin soft, so it's one reason why Washington State is able to make those big, lush reds with such concentrated fruit. Back when I worked landscaping in my early 20's I handled a lot of LOAM. Spreading and leveling loam was actually one of my favorite things to do at that job. I can tell you from personal experience that it's got a structure all to its own. Lighter than sand and fluffy, but able to to clump together like clay. That's because it's a blend of equal parts silt, sand and calcareous clay. The combination creates a soil that has the perfect water retention, so it'll hold on to water but not too much. This stuff is highly fertile because of that and all of its calcium and other nutrients from organic matter. It'll make your lawn absolutely gorgeous but I wouldn't recommend growing grapes on it. The North Fork of Long Island seems to be making it work, though. 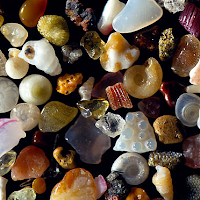 Sand is the largest particle of what can really be considered a "soil". After that then we're talking about rocks and stones. Sand, like all the other soil types, is made up of all sorts of stuff. Different minerals, shells, shattered rocks, whatever. It just depends on where it is and what's happened to it. Its most common minerals are feldspar and quartz. Sand lets water and nutrients slip away pretty easily, and it gets hot and cold quickly with the weather. It also has no patience for phylloxera. The root-destroying louse simply can't survive in it. Both Cabernet Franc and Cabernet Sauvignon have a fetish for sand because it instigates deep and strong roots. Sandy soil also results in less tannin in wine, so those guys will turn out smoother. Going against all scientific evidence of soil character being transferred into wine, I've smelled salty beach sand on Cape Cod Cabernet Franc. It's totally there. Santa Barbera in California has sandy soil, and so does Maipo Valley in Chile. One emerging wine region over sand is Guadelupe Valley in Baja-California, Mexico. Similar in climate to Napa Valley, Cabernet Sauvignon in particular is thriving there. This is something I could have put under any of these categories or even put it in Part One. But I chose to put it here, between sand and rock/stone, because those are the parts that grapevines like about it. Alluvial soil is an eroded mix of soil types deposited by water, and tends to be rich in nutrients and fertile. It's basically a dried riverbed from permanently deceased or intermittent (seasonal) rivers and streams. The bed of perennial (year-round) streams and rivers that are still active, and the soil around them, aren't considered alluvium. You've pretty much got everything in alluvium: clay, silt, sand and rock/stone from all sorts of different minerals and organic matter. And it can be inconsistent in drainage and dominant soil type right in that same area. Oh look, this spot has a lot of rock deposited... *walk a few feet*... and over here it's sandy instead! Its most cherished point is the ALLUVIAL FAN, where it fans out at the bottom of a slope, because this is where gravel, sand and silt are at their highest numbers. The places where alluvium is silty or clayish is where it's more fertile and better for other crops, but where it's stony or sandy is where grapevines love it most. 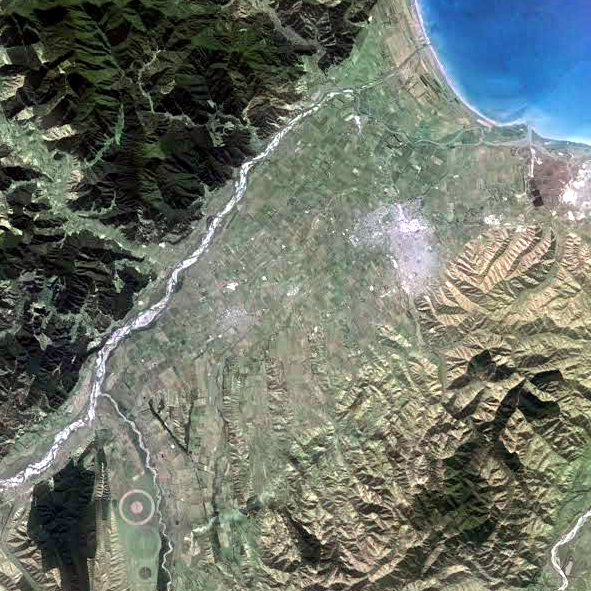 One of those places where grapes love the alluvial soil is Marlborough, New Zealand. You can practically tell it's alluvium just by looking at it from above. Hell, alluvial soil seems to be the primary soil of the entire country. There'll be much more on New Zealand in Part Three. Another one of those places is the Médoc on the Left Bank of Bordeaux, and it's got a pretty cool story behind it. This alluvial soil wasn't left there by rivers or streams, but it was exposed by humans instead. The Médoc used to be a bunch of salt marshes, while the Right Bank was where the grape growing and winemaking was being done in Bordeaux. The Dutch grew fond of the wines from Bordeaux in the 17th century and became very involved in all aspects of it. This includes ownership of vineyards and chateaux, as well as being the Bordeaux merchants of the world. It became a big business. Roads needed to be built and expansion was needed. The only wine region on the Left Bank back then was Graves, and to its north was all those salt marshes. So the Dutch got to work on their favorite pastime: draining marshes. The soil exposed from under the marshes was gravelly and better suited for Cabernet Sauvignon, as opposed to the clay and limestone of the Right Bank that's better suited for Merlot. The Dutch fell in love with the stronger and more tannic wine of the Médoc and it quickly became the premier place for Bordeaux's most famous wines. Part Three: Roots Among Rubble concludes this series with rock / stone.